Kanbayashi Kinenkan Memorial Hall (宇治・上林記念館) is located in Uji City on Uji-bashi Dori next to Kanbayashi Shunsho Honten tea shop. The Kanbayashi family, lead by Kanbayashi Hisashige, began producing tea in Uji in the mid-16th century and by the end of the century had become leaders in local tea production and politics. In the late-16th century, a member of the Kanbayashi family would lead the Chatsubo Douchu, a procession carrying tea leaves from Uji to the Tokugawa Shogunate in Edo (Tokyo). This procession could have over 1,000 people and was afforded such importance that road maintenance was completed along the entire route before they passed through. Even high-ranking members of the Imperial Court and Shogunate were required to dismount and make way for the Chatsubo Douchu to pass. After the upheaval of the Meiji Restoration, only the descendants of Kanbayashi Hisashige's son, Shunsho, continued to produce tea into modern times. Kanbayashi Kinenkan is Kanbayashi Shunsho's former home. 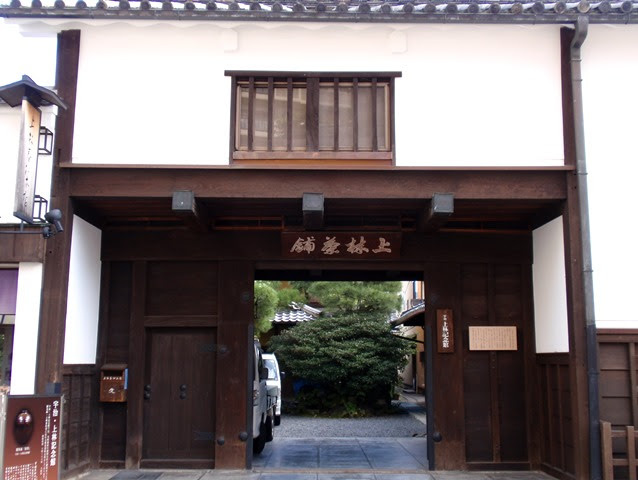 The Nagaya-mon gate at the entrance to Kanbayashi Kinenkan was a structural design specific to Uji tea producers. At one time, there were nine Nagaya-mon gates along Uji-bashi Dori and now only the Kanbayashi Kinenkan gate remains. The original gate was destroyed in a fire that swept through Uji in 1688 and the current Nagaya-mon gate was rebuilt 250 years later. Much of the rest of the original structure had to be rebuilt over the years due to age and deterioration and the building was fully reconstructed in 1977 to become the Memorial Hall (Kinenkan). 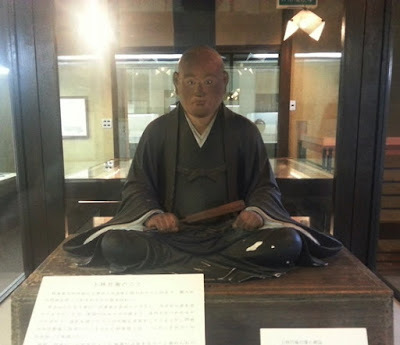 A sculpture of Kanbayashi Chikuan, the fourth son of Kanbayashi Hisashige, was dedicated to Byodoin Temple in 1700 on the 100th memorial of Chikuan's death which took place while fighting for Tokugawa Ieyasu in the Battle of Sekigahara. 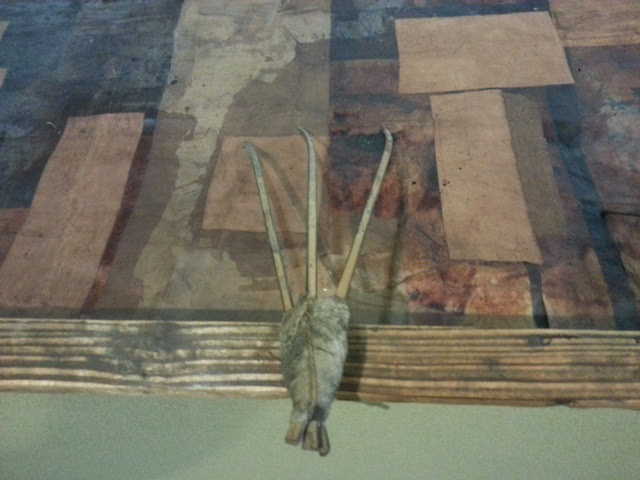 This sculpture is now displayed prominently on the second floor of the Kinenkan. Inside the two-story building, tools and implements of tea production, as well as art and historical documents, from Shunsho's time are on display. Diagrams explaining how the tools were used are especially helpful and it's interesting to see the similarities to tools used in modern tea production. Ruson tsubo or Luzon jars are also prominently displayed in the Kinenkan. These jars are Chinese in origin and were brought over from the Philippines, taking the name from the largest Philippine island of Luzon. Ruson tsubo can be distinguished by the four lugs around the shoulder of the jar. 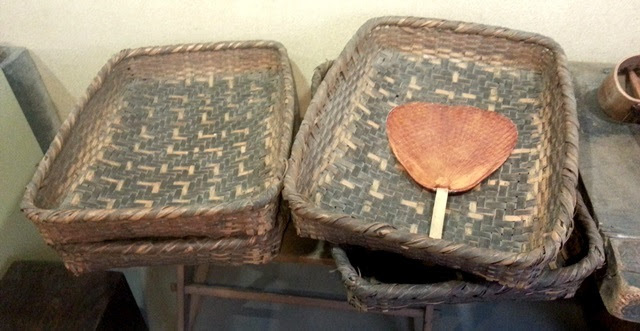 They were highly coveted due to their limited supply and as excellent storage for tea leaves. 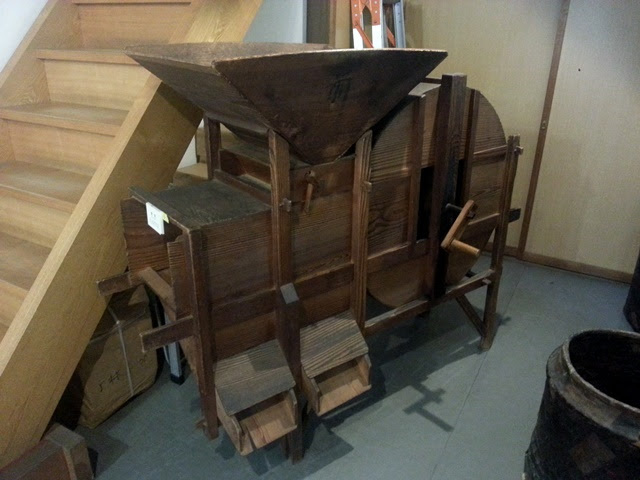 Tea that was carried in the Chatsubo Douchu was stored in Ruson tsubo. 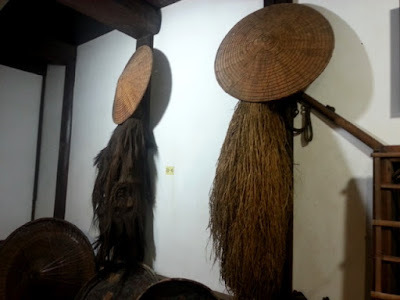 If you're visiting Uji and are interested in tea and history, don't miss Kanbayashi Kinenkan! Admission is only 200 yen and English brochures are available.